Welcome to Sellick Event Photography. This is a newly designed site that focuses both on the type of images you can expect from my service as well as some really important information about how I operate my business, Information you should be asking of you wedding , Event, Portrait Photographer. My pricing philosophy as well as a large number of actual Client quotes on how they felt working with me on their various events. 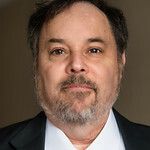 I have been doing traditional photography for over 40 years and digital photography and Imaging for the last 15 years. l am an experienced Event Photographer located in Ottawa Ontario Canada. I specialize in Photographing, Weddings, Bridal / Baby Showers, , Stag & Doe or Retirement Parties, Portraits , Head Shots,(Family, Engagement, Baby, Maternity, Pet, Boudoir) as well as Corporate Events. In addition I can and do provide digital coaching, buying advice, image conversion (scanning), DVD slide shows and custom calendars for inexperienced users. My business is based on reliable and quality service at a reasonable cost delivered with a personal touch. Your satisfaction is paramount and a cornerstone of my business philosophy. I would be pleased to discuss with you any of your photographic needs. Please browse my sample galleries to see examples of my work. I pride myself in being Your “Go-To” Photographer for all of life’s important events. Because I do everything from Weddings, Portraits (Adult, Baby, Pets, Facebook), Parties, Corporate Gatherings, Business Openings. I do not post a specific set of packages or pricing per category. What I prefer to do is listen to what you want/need and adapt my pricing to each requirement and to line up with your budget and expectations. That way we both get what we want. You get wonderful photographs that will last as memories over time and I get a working wage based on my time spent with you, my experience, as well as my investment in high end Photographic Equipment and software to make sure you get the best images at a cost effective price. You have my word as a Professional Photographer that I will treat your requirement with the same respect be-it a Large All-Day wedding Shoot or a Small intimate gathering or individual portrait shoot. You have the right to get Professional Photographs no matter what your budget and I promise to listen to what you are looking for and do my best to find a price point that works for us both. Many Professional Photographers earn their livings buy selling you more than you really need like expensive custom enlargements, Wedding books, Extra shooters and assistants. At Sellick Event photography I keep my pricing low by keeping my overhead low and only invest in my working tools Cameras and Software to give you the very best end product at a reasonable price. I can offer you custom printing, or slide shows or photobooks but these are not a staple of my Business. My Primary service is Photography only. You will receive Hi (4 Print) and Low (4 web/Email) resolution images with no copy-write restrictions and no watermarks. What Clients are saying about Sellick Event Photography regarding, value for $ and overall Service Experience? - It was amazing how easy it was to work with Rick Sellick. I am definitely recommending you to all of my family and friends for their first child to wedding anniversary or engagement photos you're very personable person and very easy to get along with I enjoyed having you shoot the photos for my hubby and I thank you so much!!! Mathew & Brianna Irwin Couples Portrait Shoot Oct 1st 2015 Perth Ontario. - Sellick event photography did a great job of capturing our special day. Rick made sure that we got all of the shots that we wanted and followed through with us until the end to make sure that they were exactly right. Kiley & Jeff Hamilton Aug 23rd 2014. - Rick's patient and professionalism helped to make our day less stressful to ensure we have beautiful photos to go with our memories. Cynthia & Melodie Hinchey-Castonguay Wedding June 30th 2012. - I thought the session (Mastermind Orleans Grand Opening Event) was great, on time, professional and with speedy turnaround of the images! Meaghan Brown Owner Mastermind Event Orleans (Wedding Décor & Linen Rentals) April 6th 2013. 1. Does the photographer have a gallery of wedding images you can review? Reviewing sample work allows you to see the photographer’s strengths and weaknesses – don’t fool yourself, every photographer has them. You’ll also be able to get an idea of their style. Are they formal with an eye for the perfect picture or do they love to capture the hidden moments when no one is looking? Look for images that you can see yourself in. Think of three words that describe you and share those with your photographer. Every photographer has a style and reviewing their gallery can help you determine if theirs is right for you. 1A) Sellick Event Photography Answer When you visit my website you immediately see a slide show that contains over 600 images from 50 weddings that I have shot over the years. Why so many images so you can see the type of images you can expect on your wedding day. I don’t just post the one of a kind shot but shots from different parts of each wedding. If you like the images you see on my site I can guarantee you will like/love your images. 2. What is the photographer’s working style? Some photographers are orderly and operate like wedding planners. Others prefer to sit back and let the events of the wedding unfold. It’s important that you find someone who can understand and meet your expectations. Discuss this ahead of time and ask away, so that you understand how well the photographer’s working style matches your own. 2A) Sellick Event Photography Answer Style is very important as above and every Photographer leans in one direction or the other. However when I am working with a Client prior to the event I ask the couple to pick sample image that they like which helps me to better understand the style they want and prepare to shoot in that style. The more info you can provide the better I can give you what you want. In addition a wedding Photographers experience from shooting many Weddings/Events arms them with an instinct of what is going to happen next. What to watch out for. Listening to a Client can also provide a great level of detail that can be used creatively to create images. 3. Is the photographer available for an engagement session? An engagement session does more than provide you with priceless images together before you get married. It’s also your first opportunity to work with your photographer and develop a relationship that will allow you to be completely at ease on your big day. Use this session to confirm if the photographer is indeed the right person to capture your wedding. 3A) Sellick Event Photography Answer The simple answer is yes I believe that comfort level with your photographer is very important and an engagement session helps in this regard. I am one photographer who will provide a substantial discount on an engagement session if you agree to sign up for your wedding at the same time. I will also let you in on a secret ask your photographer for a satisfaction guarantee that if the engagement session results are not to your liking you can then opt out of the wedding Photography contract. 4. Will the photographer create a detailed shot list? This list will ensure no important photo is missed during the commotion and excitement of the big day. You should be able to create that list together, add to the list leading up to the day and have a copy of that list the day of. Take an honest look at what images really matter and fill your photographer in on situations he or she might need to be aware of in order to prevent awkward moments, and to ensure that he or she can get the shots that matter most. 4A) Sellick Event Photography Answer I have a shot list for traditional wedding images that I go through with the couple prior to the wedding. I also believe that it is really important to have the Bride/Groom identify key images that they must have be it a favorite relative or old family friend. I will say that in my experience a shot list is a guideline and that often times things change you have to be able to adapt to shrinking time frames or other events may delay things. This is why it my policy to make sure before I leave that we have covered off everything regardless of the coverage hours we have agreed upon. I will not leave you if our work is not done. 5. What kind of lighting will be used? Whether you have an indoor or outdoor wedding, you’ll want to make sure your photographer has professional grade lighting equipment to deliver the images your wedding deserves. 5A) Sellick Event Photography Answer I have both full umbrella units and on camera professional High power diffused Flash Units. My primary method is using the on camera flash units as this allows me to be very portable, move around throughout the ceremony to get the right angles and always be ready for the shot. Using portable lighting units (Umbrellas, Plugged in Light sources) are fine but you need to allow for much more setup time and are not useful in heavy traffic areas. Managing off camera equipment usually requires additional manpower (photographic assistants, 2nd shooters) That will add to the overall cost of your photography. Consider this when your budget allows for it. 6. Does the photographer have backup equipment? You’ve prepared contingency plans for every other aspect of your wedding; your photographer should as well. A true professional photographer won’t miss your perfect shot because of a technology issue. He or she will always bring one or two backup cameras, lenses, flashes, additional lighting equipment, extra memory cards, and batteries. 6A) Sellick Event Photography Answer Simple answer I always have spares of everything, cameras, Lenses, Flash units, memory cards. It is also important to consider Backup to the images being written during the wedding shoot. My Nikon gear has 2 memory card slots in each camera and my cameras are always set to record mirror copies of each image ensuring that a single card failure will not lose any images. 7. Does the photographer have liability insurance? Accidents happen at weddings and if one of your guests trips over your photographer’s light stand, it’s good to know you both are protected. Your reception venue may even ask the photographer to submit a certificate of liability ahead of time. 7A) Sellick Event Photography Answer I am covered under a State Farm Business liability Insurance policy. 8. Will there be one photographer or two? A second shooter increases the probability that no shot will be missed, especially if you are having a large wedding. If there will be two photographers, ask to meet them both to get a feel for their personalities and how well they might blend in on your big day. 8A) Sellick Event Photography Answer I have some of the lowest prices around for truly professional Photography. I am able to do this by keeping the costs down to a minimum. As Such when you hire Sellick Event Photography you hire me. I have taken and edited every image on my website. I have never missed an event shoot Period. I am a small c Control freak when it comes to your wedding images. You get my best every time and when I tell you something, you can count on it, as my reputation hinges on me being able to make you happy when you engage me for your event. If you have the budget to cover two photographers and feel that you need two that is fine. Often times the 2nd shooter is an apprentice covering the more simple shots. With my service you get me and my many years of Event coverage and Post processing expertise. 9. What will happen to the images after your wedding? Will your images be backed up to a hard drive or the cloud once processed? How long will your photographer keep the images afterward? Will they be kept for a couple of years or dumped immediately? If you have any concerns about losing your photos, knowing what the photographer plans to do with your images after your wedding is important. 9A) Sellick Event Photography Answer I provide you with your usb or dvd disk. I have terabytes of hard drive space that are backed up. I keep copies of all your files on Blu-ray disks and my Photo site has unlimited storage for all the fully edited images that you receive. If you need a copy , after the fact, just ask and there may be a small charge for the media to hold all your copied images. Often times you can simply go to my site and cut and paste a fav image. 10. When will you get your photos? No, you won’t get your pictures the day after; no photographer can deliver that quickly. It’s a good idea, though, to get a general idea of the timeline ahead of time. You might even be able to agree on getting a couple of images ready for social media use very quickly. But obtaining your photos will likely take several weeks. To help with the wait, some photographers will send you a sneak peak with a few images. Just ask ahead of time! 10A) Sellick Event Photography Answer My service is a bit different than above. In fact you will see images from your wedding the very next day. I give a commitment to each client to be finished the first primary edits within 7-10 Days after the event. I also edit and post your images to my site password protected so that The Bride and Groom can see the images as they are uploaded I have been told by multiple Clients how fun it is to be on their honeymoon and waking up each day to see new image from their wedding. The Clients can determine who and when they get to see the images on the site. They control the link to the site and password. This also work for those unable to attend the wedding for any reason. The Couple can share or decide to wait till all edits are completed. During the 7-10 Day period any changes that the Couple want can be quickly processed and reposted to ensure that the change is exactly what they wanted. More Features of Sellick Event Photography That You Should Know.In addition to the previous answers some of the other benefits of Sellick Event Photography . 12) No expensive up-selling. The images are yours, no watermarks, and although custom printing is available I encourage to print your own images saving a ton of $ over professional print costs. 13) Only want partial coverage no problem I design the coverage that you want and can afford. 14) I do large formal wedding, Small intimate wedding, Cottage weddings, town hall weddings, Backyard weddings. Everyone deserves to have professional images and I will work with you to fit coverage to your budget. 15) No restrictions on family photos during your event. I am happy to take family photos when not covering the Bride/Groom. These can make great wedding gifts for people in attendance. 16) Easy going stress free photography that makes sure that the photography does not get in the way of having fun at your wedding. Being experienced and well prepared I can shoot fast giving you as much time to get back to the party to Enjoy Your Wedding.